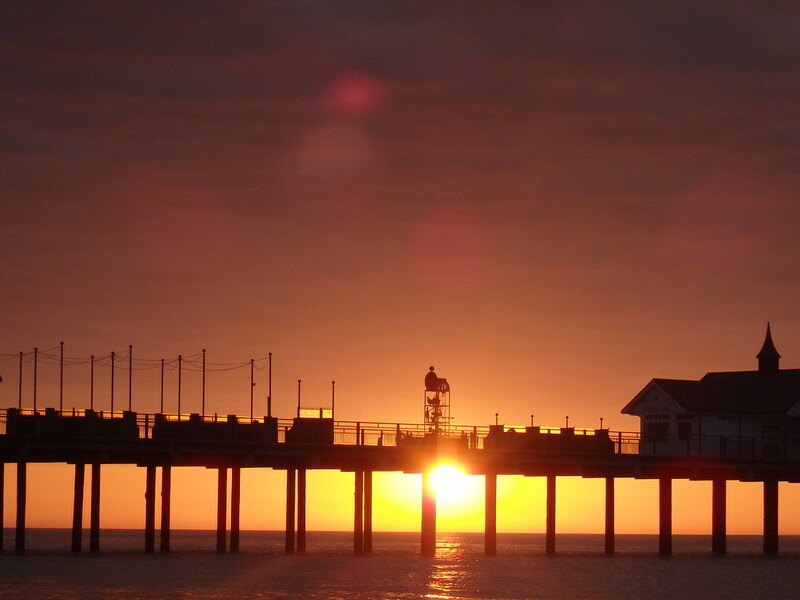 Southwold and Smooth Hounds – 2 firsts for me! 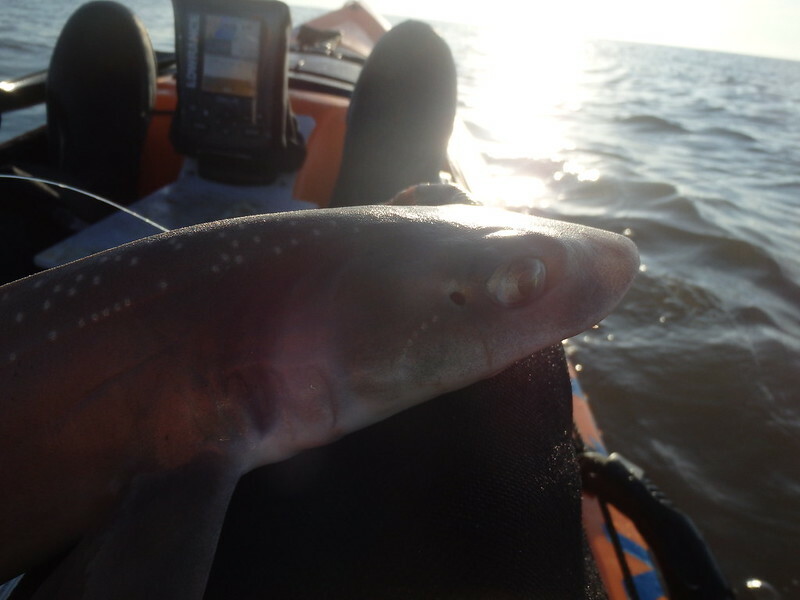 Kayak fishing Southwold and catching smooth hound pups – both first for me. 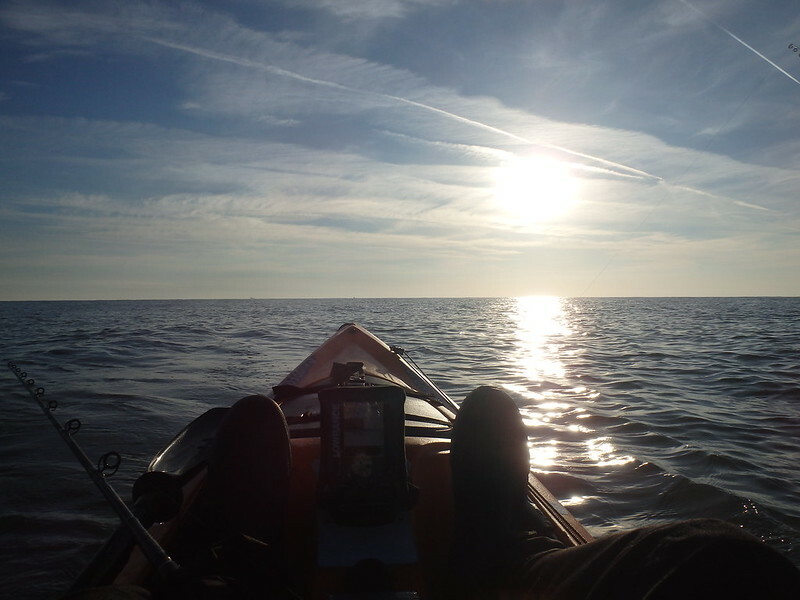 I brought my scupper pro kayak and gear down to a family holiday in Southwold with permission for a couple of early sessions during the week. This morning was the first weather window and it was great. 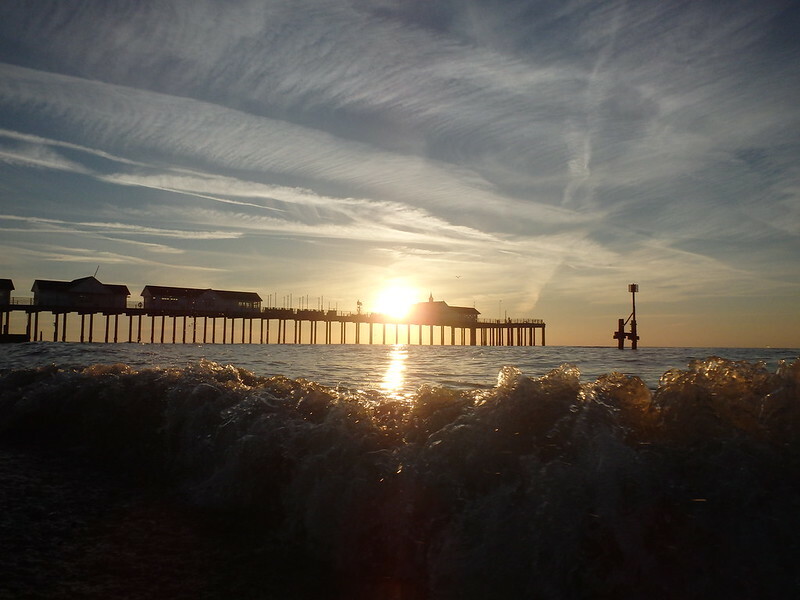 I was on the water for 6am launching right next to Southwold pier and conditions were lovely. There was a slight swell on from a SE blow the day before but other than that it was spot on. I paddled out about half a mile before finding a shelf which dropped to 30ft. I anchored up with the tide on ebb and sat back and enjoyed the scenery. I got bites from the off. 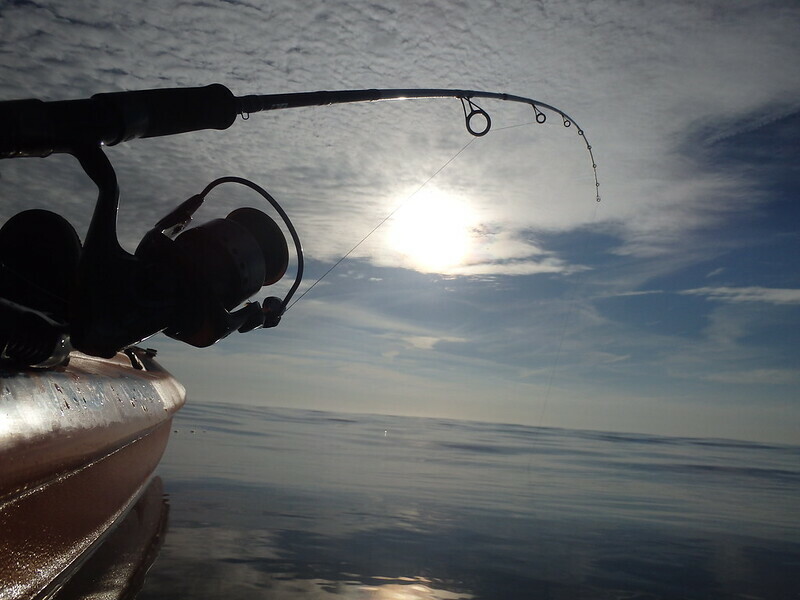 I was fishing running ledger rigs. One with ragworm and one with lugworm. All the action was from smooth hound pups who almost all took the ragworm. These were all small but I didn’t care. 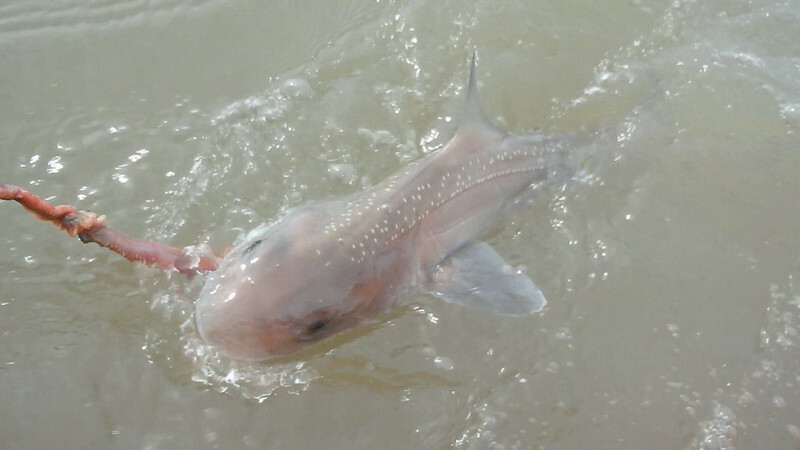 It was a new species for me so I was happy. 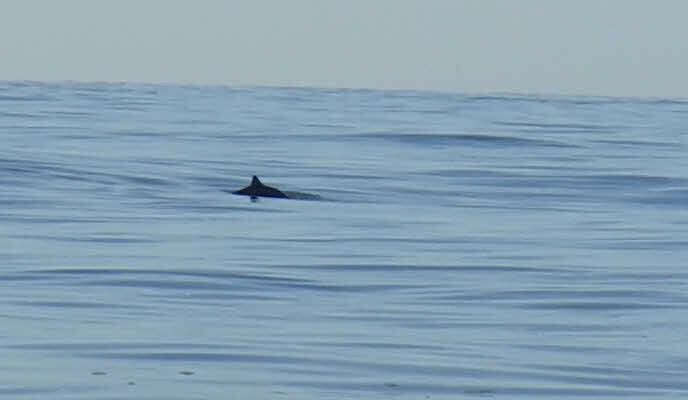 Just as tide slackened a small pod of porpoises (3, possibly 4) came out to play which was a real treat. I found it almost impossible to get a good shot. Almost as soon as the tide slackened the kayak swung and I was into the tidal flow. It was spooky how quickly this all happened. Flow was really quick. When not at anchor I was moving at 2.5 knots. I’m glad I brought my 1.5kg anchor rather than the usual 0.7kg one I use at home. Bites stopped at this point so I brought the anchor up and headed back in to about 20ft of water. I got a few more pups at this spot before calling it a day and heading back in to continue the family holiday. 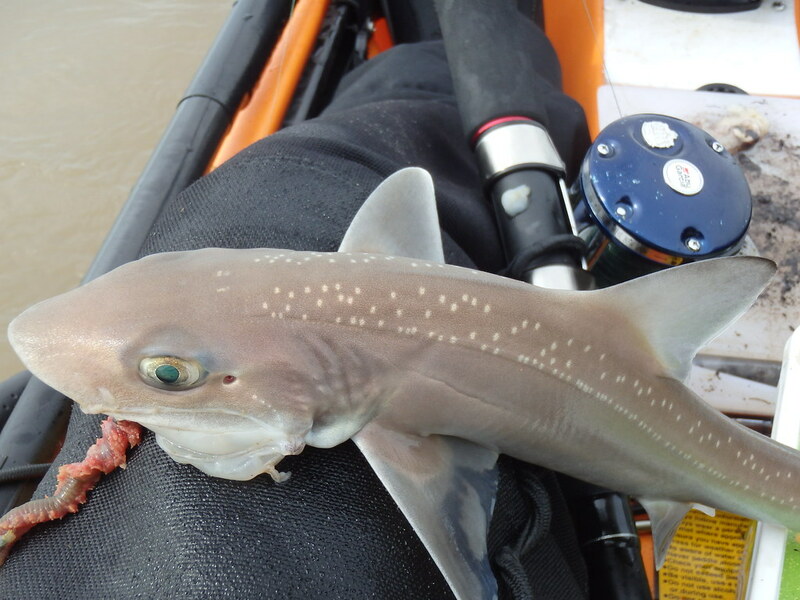 A pretty non eventful fishing session (6 small smooth hounds) but it was great to be out at a new spot and catch a new species. Hopefully next time I’ll find a bass!